Hey Style Lovers, Happy Monday! I hope you all had a fabulous weekend? 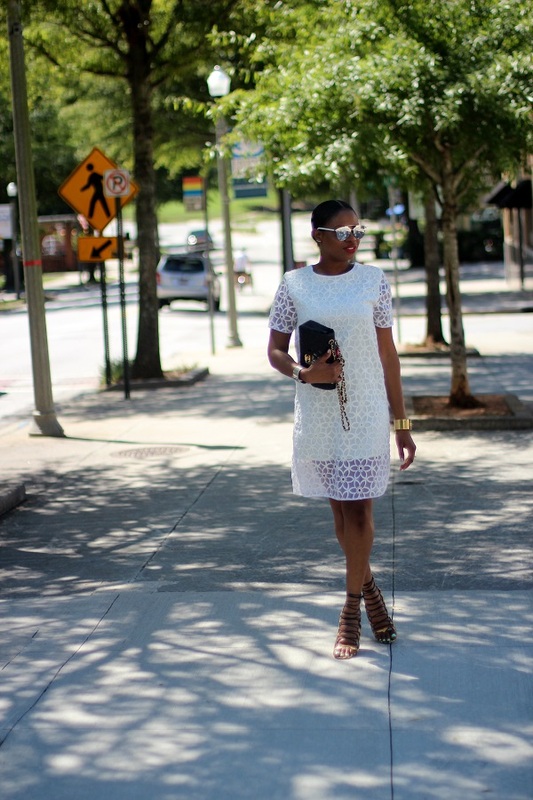 I absolutely love lace. 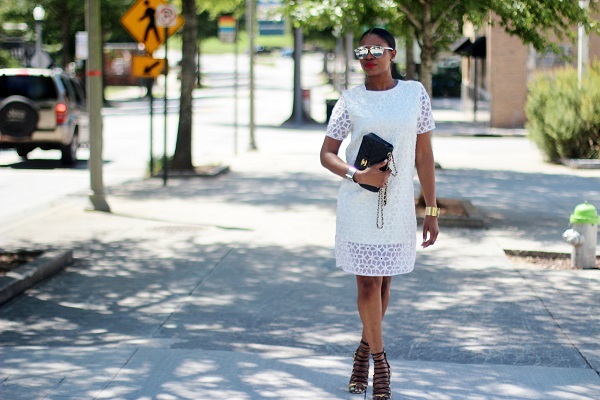 It’s chic, feminine, and very much on trend. 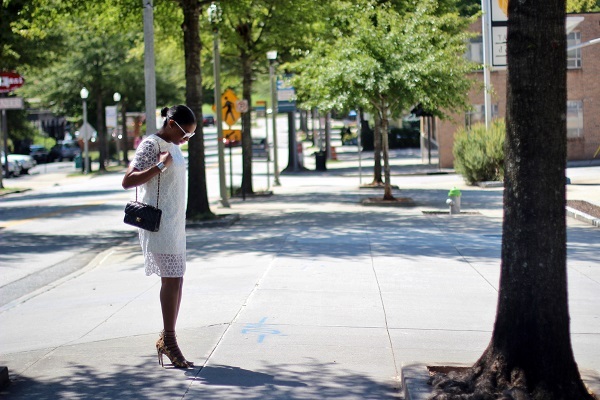 I paired this beautiful lace dress with a stylish pair of sandals, and a classic chain bag to create the perfect balance of classic and modern. 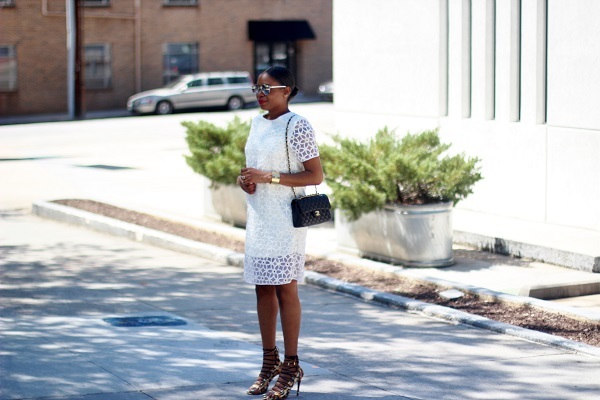 A cool pair of on-trend mirrored sunglasses complete today’s stylish-chic outfit. 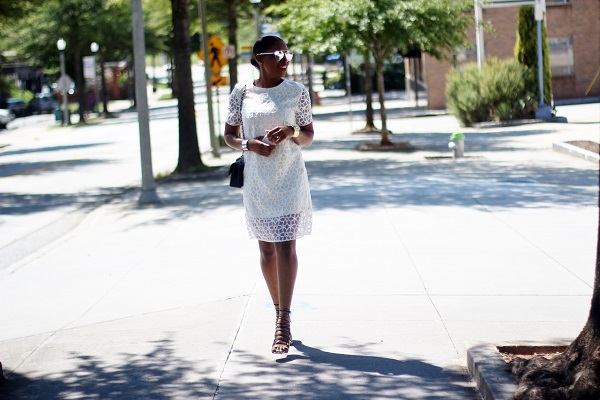 Get inspired loves, shop my picks, and step out this week in white lace.